Assisted suicide can lead to ‘inhumane’ deaths when the drugs don’t work quickly enough or cause unpleasant side effects, experts have warned. The practice is illegal in the UK but used in some US states and European countries including Austria, the Netherlands and Belgium. Patients may be given or take a drug or pill to induce unconsciousness and then death. But, despite the aim for death to be painless and without distress, a review has found this is not always the case. Patients may have difficulty taking doses, either by swallowing or due to vomiting, and some have awoken from a coma, evidence shows. In a small amount of cases, people have woken from a coma or even waited up to a week before death. International researchers have said there should be more measures to confirm a person is not ‘accidentally aware’. Doctors in the UK are currently being polled by The Royal College of Physicians on whether they support giving lethal doses of drugs to terminally ill patients. Previous research has said up to 4.6 per cent of all deaths are reported as euthanasia or physician-assisted suicide where it is legal. The review, of which Professor Jaideep Pandit, a consultant anaesthetist at Oxford University Hospitals was a senior author, considered what an optimum method of achieving unconsciousness would be. They found complications including difficulty in swallowing the prescribed dose (up to nine per cent) and vomiting in 10 per cent, both of which can prevent proper dosing. Remergence from a coma occurred in two per cent of cases, with a small number even sitting up, the authors said. ‘This raises a concern that some deaths may be inhumane,’ the researchers reported in the journal Aneasthetsia. After oral drug sedative ingestion, patients usually lose consciousness within five minutes. However, death takes considerably longer. WHERE IS ASSISTED DYING LEGAL IN EUROPE AND THE US? Assisted dying refers to both voluntary active euthanasia and physician-assisted death. These two types of assisted dying distinguish a difference in the degree of the doctor’s involvement. Only three countries in Europe approve of assisted dying as a whole: Belgium, the Netherlands, and Luxembourg. The first two even recognize requests from minors under strict circumstances, while Luxembourg excludes them from the legislation. Switzerland, Germany, Finland, and Austria allow physician-assisted death under specific scenarios. Countries such as Spain, Sweden, England, Italy, Hungary, and Norway allow passive euthanasia under strict circumstances. 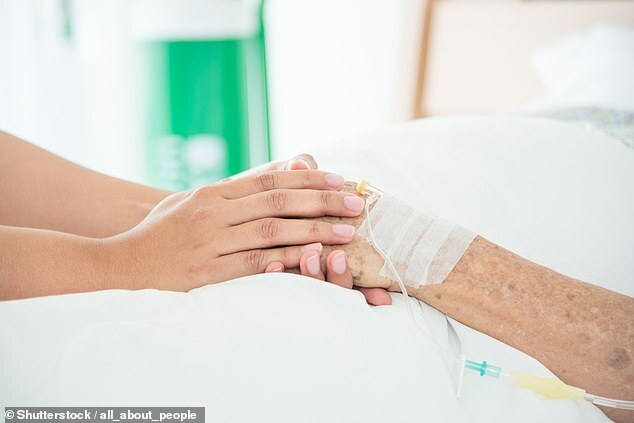 Passive euthanasia is when a patient suffers from an incurable disease and decides not to apply life-prolonging treatments, such as artificial nutrition or hydration. Death occurs within 90 min in two‐thirds of cases. But in a third of cases, death can take up to 30 hours, and some deaths took as many as seven days to occur (four per cent). The team had expected to find a single technique being used worldwide, but had instead found varying methods, drugs, doses and monitoring across countries. ‘We expected that, since a common humane aim is to achieve unconsciousness at the point of death, which then occurs rapidly without pain or distress, there might be a single technique being used. ‘However, the considerable heterogeneity in methods suggests that an optimum method of achieving unconsciousness remains undefined,’ the review said. The findings shake the argument put forward in support of assisted dying that patients pass away with dignity and peace. ‘It is striking,’ the authors said, ‘that the incidence of “failure of unconsciousness” is approximately 190 times higher when it is intended that the patient is unconscious at the time of death, as when it is intended they later awaken and recover after surgery’, which occurs approximately one in every 19,000. The researchers have suggested better way to achieve unconsciousness are investigated. For example, the use of continuous infusion of an anaesthetic agent and electroencephalography monitoring in the brain. The report said: ‘Any decision by society to sanction assisted dying should go hand in hand with defining the method or methods to be used. Otherwise, there is a risk that vulnerable citizens may be killed by suboptimal, or even cruel, means. The study suggested that if an optimum method is discovered, it should also be applied to capital punishment used in the US. Although assisted dying is illegal in the UK, that could soon change. The Royal College of Physicians is polling doctors this month on whether the law on assisted dying should change, meaning the respected institution may drop its opposition to assisted dying, which it has held for five years. The BMJ revealed last year that 55 per cent of doctors were supportive of it, as well as the ‘great majority’ of the British public. The journal, one of the oldest and most influential in the UK, claims there is ‘good evidence’ the practice ‘works well’. Support for an assisted dying law among the public remains consistently high at around 80 per cent, as confirmed by the British Social Attitudes survey in 2017.